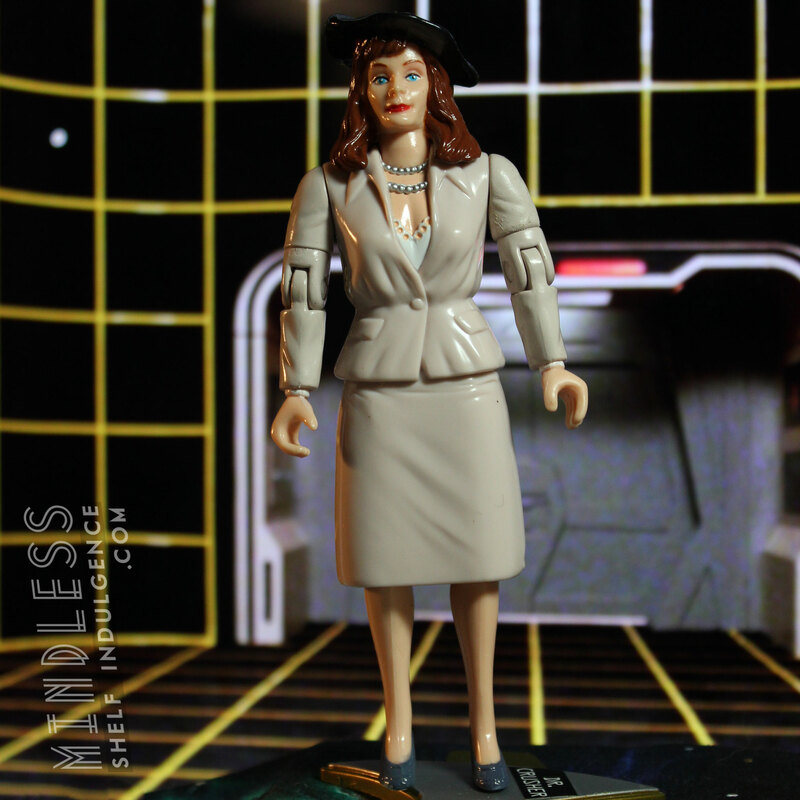 Dr. Crusher, as seen in “The Big Goodbye”, is accompanied by a ‘Dr. 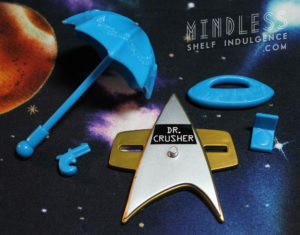 Crusher’ Voyager base, and blue accessories (a parasol a handbag, a compact, and a gun). 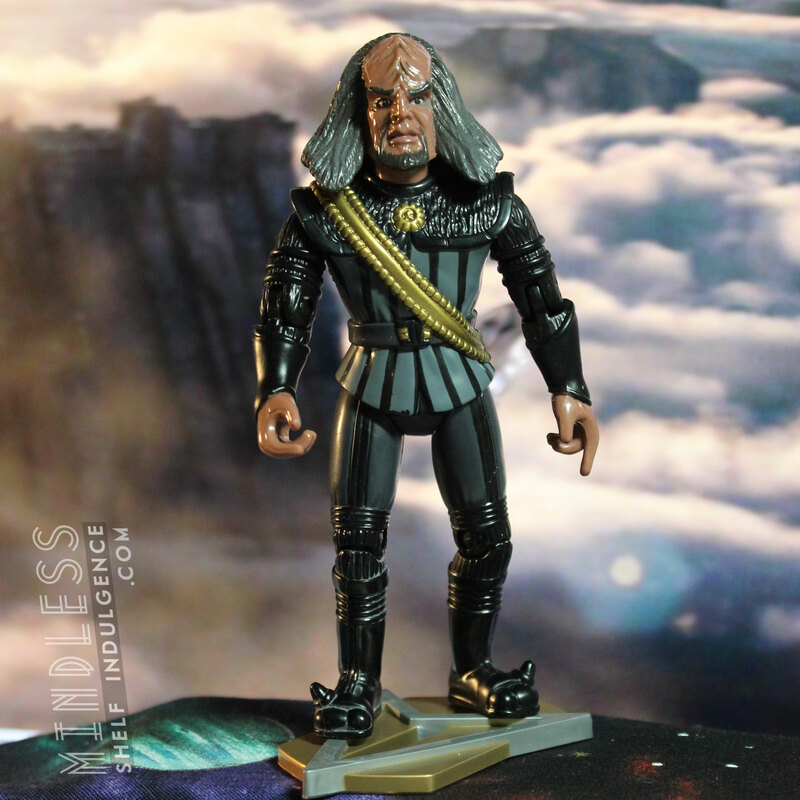 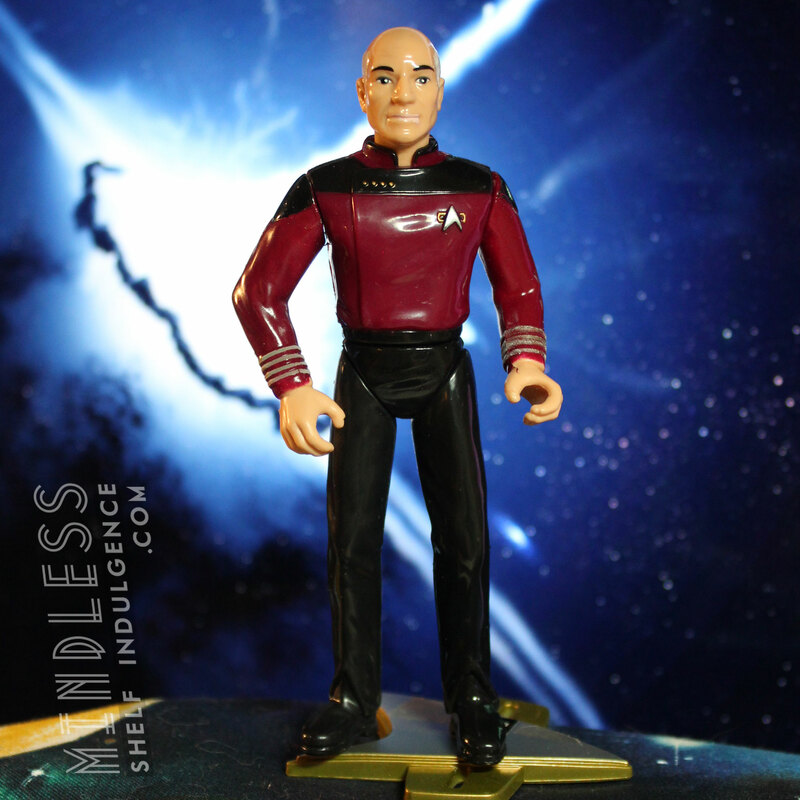 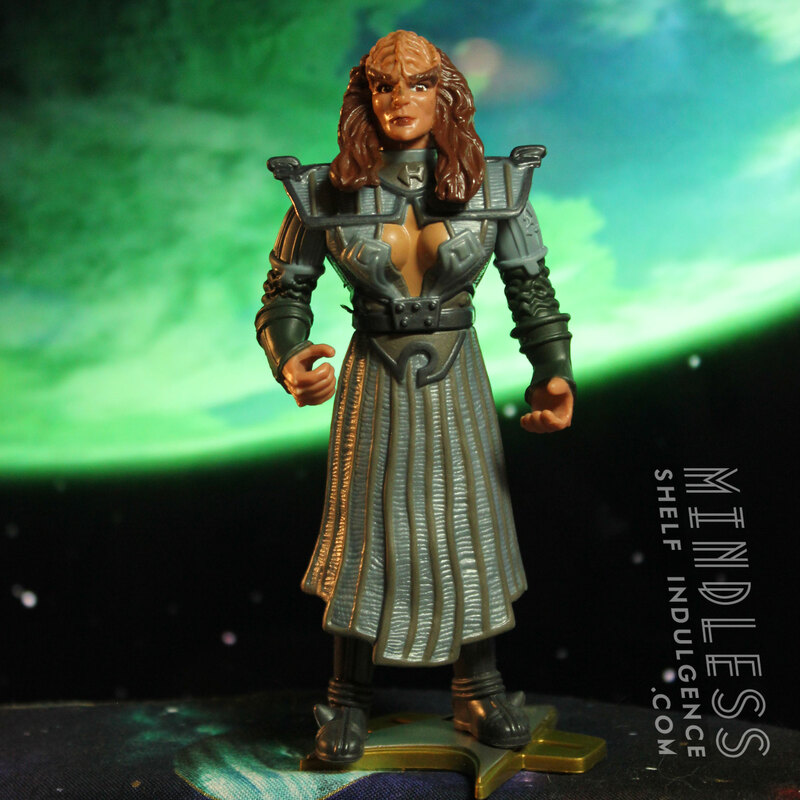 Though there were many holodeck programs people participated in, Playmates fixated on this one from the 1940s, and cranked out a whole lot of figures in 1940s attire : Data, Picard, and Guinan.